After offering the cheese sauce at their test kitchen in New York City, Chipotle will test out new queso in over 350 locations in Central and Southern California as well as in Colorado starting on August 1, 2017. MarketWatch has a complete list of all the locations that will be serving queso come August that you can check out here. Other items that the chain has been trying at their NYC test kitchen include frozen margaritas, salad greens with avocado citrus dressing, and bunuelos (which is a bit like tortilla chips covered in cinnamon-sugar). 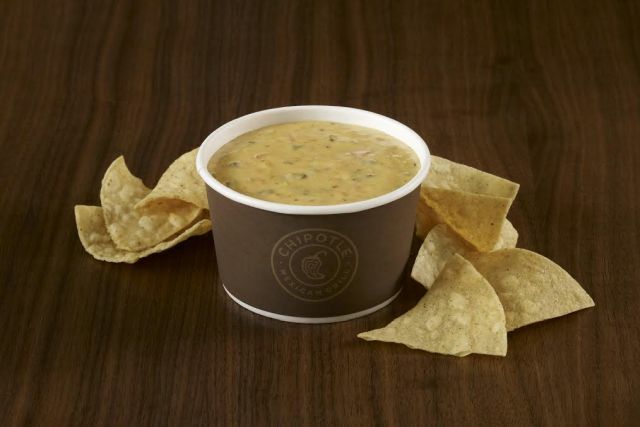 According to MarketWatch, if the queso test goes well, the company has floated the idea of a nationwide roll-out as early as mid-September of this year.